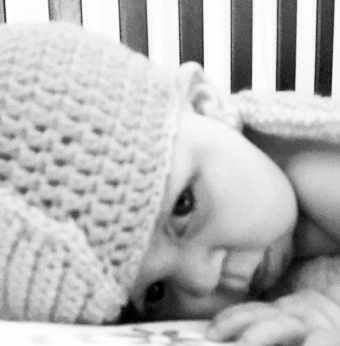 Willow Jayden Ervick, of Howard, died Feb. 7, 2019, at Children’s Hospital in Colorado Springs. She was born Oct. 20, 2017, at Children’s Hospital. She is the daughter of Jennifer Hayden of Howard and Rolf Ervick of Colorado Springs. Willow was born with the extremely rare Emanuel Syndrome. Throughout her short life, Willow required extensive medical care and therapies. Complications arose from a recent surgery, from which she did not recover. Family members said her challenges did not stop her from lighting up a room. Willow was adored by everyone who met her. She was sweet and curious and engaged in the world around her. She loved her big brother. Her family and community are devastated by her loss. Willow is survived by her brother, Hayden Rolf Ervick, 3, of Howard; her parents; grandparents, Tom and Sharon Hayden of Columbus Grove, Ohio, and Gail Ervick of Hebron, of Connecticut; great-grandfather Rolf Ervick of Hebron; caring friend Rachelle Huschka and family. Services will be held at 10:30 a.m. Feb. 23 at St. Joseph Church of Salida, where she was baptized. Burial and meal to follow in Howard.